What are keloids and why should I care about them? Keloids are a very common type of scar that can be unsightly, painful and itchy. Anyone can develop keloids, but people of color develop them 15 times more frequently than others. Keloids may also run in families. They commonly occur on the ears but are also seen on the upper chest, back and arms. These scars are often a result of an injury or acne scaring, and can be very difficult to treat. Throughout evolution, our body has developed an exquisite system to repair injured skin. If you think about it, our skin is all that protects our tissues and organs from injuries, and our immune systems from bacteria and infections. As a result, any time the integrity of the skin is interrupted, a rapid and elegant system springs into action to repair the defect (hole/cut/injury). Unfortunately, for some people, the fibroblasts don’t get the message that their work is done, so they keep making more and more collagen. This excess collagen turns into a scar that can become very large, and may even spread to normal skin outside of the injury area, making it very unsightly. The collagen can also get packed so tightly that it presses on nerves, causing extreme pain and itching. Some patients mistakenly think that the keloid formation (in a surgical scar) is the result of something the doctor did wrong, but a keloid is really a result of a person’s genetics and their body’s healing response. Keloids can be diagnosed by a physician or dermatologist. They occur in areas of injury or from acne scars on the chest, shoulders, upper arms and back. Scars called hypertrophic scars can be confused with keloids, but they generally stay at the site of the injury, and their collagen is parallel to the surface of the skin. Keloids, on the other hand, spread to normal skin around the injury and the collagen is deposited in a very random manner. Thus, a biopsy may be required for the precise diagnosis. If you have a history of keloids, take careful measures to avoid getting injured or cut. Also be sure to have a plan with your dermatologist to treat any cuts or injuries right away to prevent them from turning into large, unsightly, painful keloids. It is important to realize that a scar can never be changed back into normal skin. With the correct treatment, however, keloids can be minimized and managed. When I treat keloids, my goal is to reduce the symptoms of pain and itching, flatten the scar, and even out the dark skin color. The treatment of keloids involves two processes: 1) Stop the fibroblasts from producing keloid-causing collagen and other substances; and 2) Help enzymes in the skin break down the tightly packed collagen in the keloid to make it softer and flatter. I use a combination of anti-inflammatory injections, topical silicone preparations, pressure ear-rings, laser treatments and, if needed, surgical excision to effectively manage and treat keloids. I design a specific program for every patient that will serve them best. 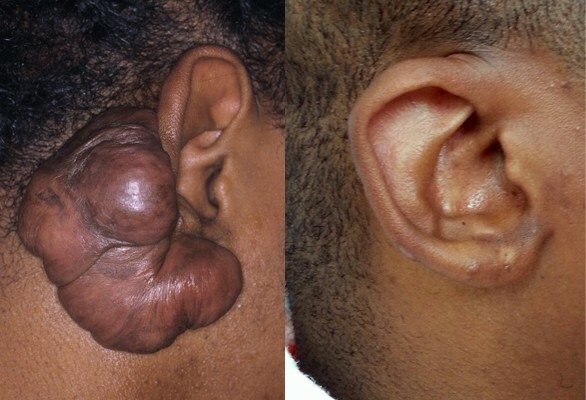 If you have a keloid, you do not have to suffer through the pain and itching. Although difficult to treat, keloids can be managed effectively by an experienced physician or dermatologist. It is very easy to surgically remove keloids, but it is hard to keep them from coming back. Keloids on the ears, however, are an exception — they are the only area on the body that is not a certain predictor of developing keloids elsewhere. A proper treatment program for keloids means sustained, repeated visits to your doctor for several treatments over six or more months. Without this sustained approach, success in treating keloids will be minimal at best. 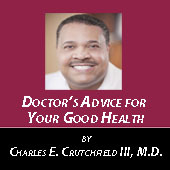 With your doctor, it is important to develop a plan and stick to it. Next Next post: What is an allergic skin reaction?